In the actual industrial environment, how the system processes and analyzes big data stably in real time is the main challenge of industrial Internet of Things (IIoT) currently. Although fog computing, as a significant extension of cloud computing, provides a distributed solution to real-time data processing in the industrial environment, it is an unavoidable problem that non-negligible network latency and fluctuations in the industrial network and limited computing power of fog nodes make it difficult to process big data timely and stably. We integrate the decentralized resources of fog nodes to form a cluster which can deliver sufficient processing power to deal with a complicated computational task. And then we propose an optimal data scheduling policy with multiple communication channels to minimize real-time processing delay and increase stability of the system. A series of experiments are designed to evaluate the behaviors with three different scheduling policies. 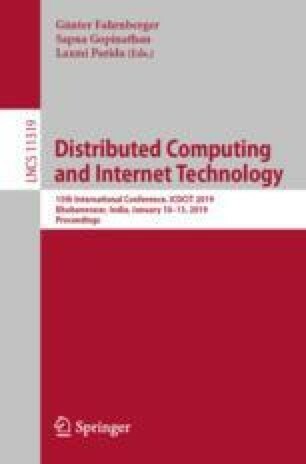 Simulation results show that over 15% performance gain, in the system adopted optimal data scheduling policy, can be achieved according to different working scenarios, in which network communication conditions and processing power make the decisive contributions. Meanwhile, the fluctuating range of system delay curve is lower with the fluctuating of the network than the other two, which means the system has a better stability. This paper is supported in part by NSFC China (61771309, 61671301, 61420106008, 61521062), Shanghai Key Laboratory Funding (STCSM15DZ2270400), CETC Key Laboratory of Data Link Technology Foundation (CLDL-20162306), and Medical Engineering Cross Research Foundation of Shanghai Jiao Tong University (YG2017QN47).